Brain injuries can occur in a manner of ways. The causes are generally categorized as traumatic or acquired. 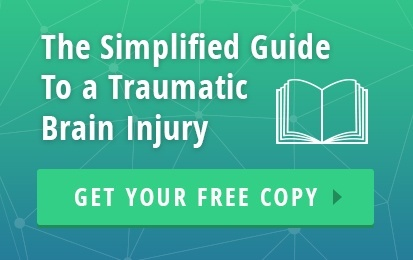 A brain injury can be defined as a result of an action which impedes on the brain, causing it to be damaged, and therefore prohibited from performing its correct functions. Brain injuries can occur in a manner of ways. Some may occur suddenly, through blunt force trauma or a stroke, whereas some are less immediately onset, such as prolonged illicit substance abuse or degenerative diseases. Traumatic brain injuries are categorized as varying levels of damage to the brain through any external force. When a TBI event occurs, the brain is often quickly pushed against the skull with force. This can cause a range of damage, including bleeding, bruising, or swelling to the brain. TBIs can result from a jolt or bump to the head or even a penetrative injury, and often come in different severities. For example, a 'mild' injury with a short-term consequence may be a concussion or short term memory loss, whereas a more 'severe' injury may come with a more long-term or lifelong consequence, such as permanent brain damage. if the damage done is irreparable. ABIs are a broader description of injuries that encompasses TBIs. This kind of injury can be caused by an internal problem (for example, a medical condition as opposed to a sporting accident). They are not congenital and cannot be inherited. In short, an ABI is any brain damage occurring after birth. Both ABIs and TBIs can cause the brain to be starved of oxygen for a prolonged period of time; called anoxic brain injury. It is this action which can leave the brain injured or damaged. TBIs are found under the larger umbrella of ABI because both occur post-birth and are in fact acquired, albeit TBIs are caused by external factors. Although the above-listed incidents are said to cause ABIs, there are often more specific things happening to the brain during an event which is ultimately the cause of said injuries. The brain controls everything we do. It is made up of different lobes and areas which are all responsible for different actions. When one of these incidents takes place, such as the contraction of meningitis or a puncture wound to the head, the incident can cause an array of traumas, including swelling, blood clots, lack of blood in the brain, or a burst blood vessel. 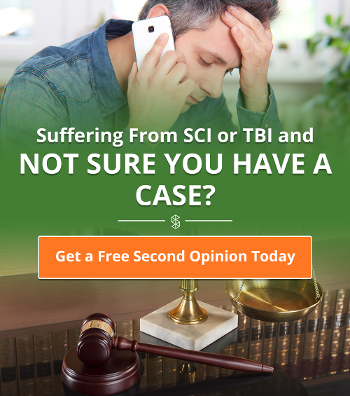 SpinalCord.com is a service that provides free and accurate information to educate the public on brain and spinal cord injuries. 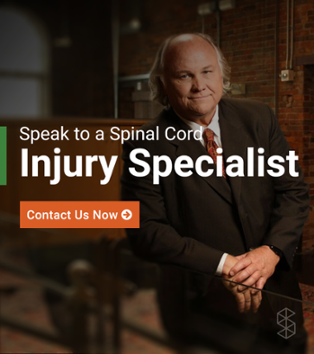 SpinalCord.com is sponsored by Swope, Rodante P.A., a personal injury law firm with offices at 1234 East 5th Avenue, Tampa, FL 33605 and 160 Clairemont Avenue, Suite 200, Decatur, GA 30030. The firm’s attorneys are licensed to practice in Florida and Georgia. If Swope, Rodante P.A. undertakes representation of a client, the firm may do so with the assistance of co-counsel in the state where the case is filed. Use of this site or viewing the information contained on the site does not create an attorney-client relationship. An attorney-client relationship can only be created by a mutual agreement in writing. All information submitted through SpinalCord.com is confidential and will not be shared with any other parties. However, submitting information or transmitting materials through the site does not create an attorney-client relationship. Communications with SpinalCord.com or its recovery coaches will also not create an attorney-client relationship. Additionally, the information relayed on SpinalCord.com does not necessarily reflect the opinions of Swope, Rodante P.A. The information on this site should not be interpreted as legal or medical advice. The majority of the content on this website was not created by lawyers or medical professionals. The information contained on this site should never be taken as a substitute for legal advice from a licensed attorney or health advice from a licensed healthcare professional. The materials on this website are meant to be general and may not be relevant to a viewer’s individual legal or medical needs. Visitors to this website should not act on any information on this site without first seeking an opinion from a licensed attorney or licensed healthcare provider. Laws frequently change, so the accuracy of information cannot be guaranteed. The medical information on this site is intended to be a free resource to provide general information to the public. The information is intended to supplement instruction from your healthcare provider. The content of this website is meant for informational purposes only and is not meant to replace professional medical advice, diagnosis, or treatment. Always seek the advice of your physician or other licensed healthcare provider with any questions you may have regarding medical conditions. Every visitor to this website is recognized by our web server and it records the users domain and what pages were visited during that visitors time on the website. This method will also tell what search engine or referring site the user used to reach our website. The information obtained is used solely to increase the value of this site.